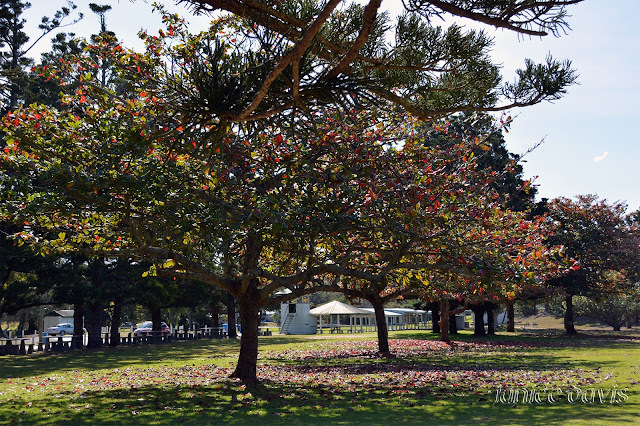 thoughts & happenings: A day visit to Yepphoon, Queensland. Down to Rockhampton to stay for awhile in winter of 2017, after we settled there travelled for a day trip for lunch to Yeppoon in Queensland, when we arrived the Cafe was closed (Monday only)! Never mind another time perhaps. 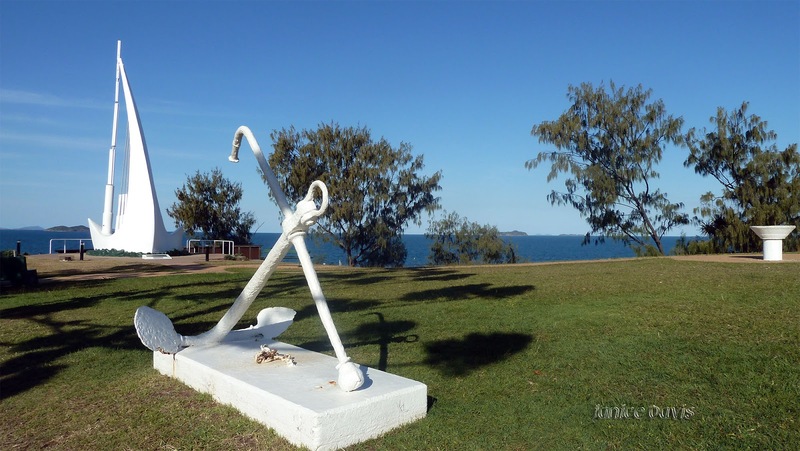 We have visited Yeppoon before, this post is a different take on last years one. Yeppoon is a coastal town and Yeppoon is renowned for its beaches, tropical climate, and the islands out on the bay. 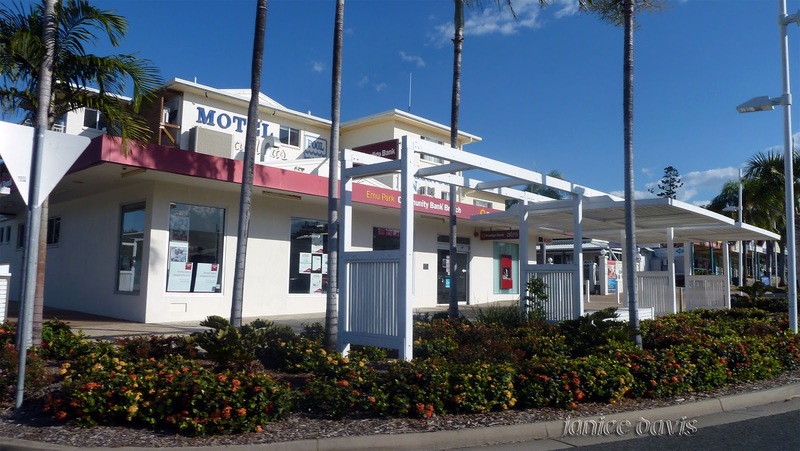 Twenty-five minutes from the city of Rockhampton, a string of seaside communities stretching more than 150 kilometres (93 mi) from north to south. 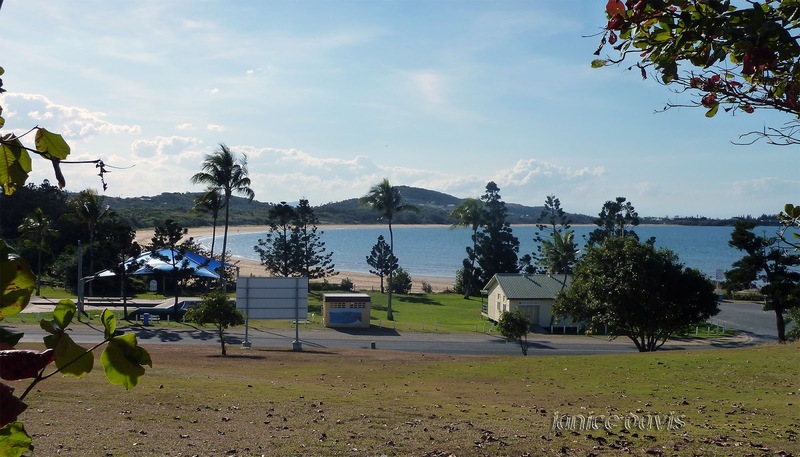 The beaches and shallow coves provide a destination both for tourists and miners settling down in Central Queensland. 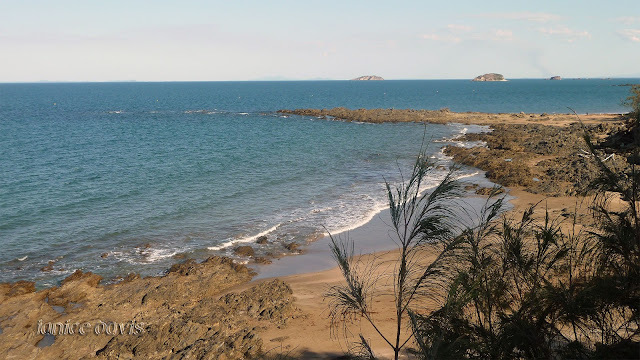 Offshore, there are 27 islands including Great Keppel Island which is 20 kilometres (12 mi) from Yeppoon. The singing ship, it makes a noise via the wind. Nothing like a pretty coloured tree, the light in the right places to show the different colours. A motel near the beach in Yeppoon. Good place to be in the summer if not too hot. Any day on the water is a great day. I like the tree with the highlighted red and a singing ship is a good reason to visit Yeppoon. The view from the platform is lovely - I showed the platform last year. Es precioso el color del árbol y muy buenas las vistas al mar. I was surprised to see such a lovely tree, never noticed it year before last - maybe because the sun shone on it last year. 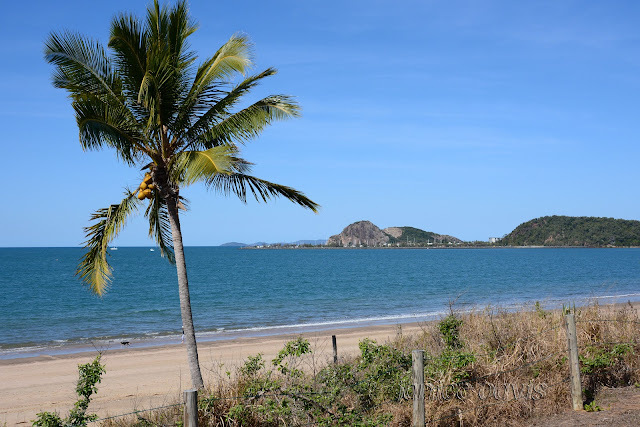 Yeppoon is quite a nice area...........not as expensive as some further north for a holiday. PS: Send me an e-mail........my e-mail addresses have all gone haywire??????????????????? Rather nice all in that area, pretty drive by the sea. It is Jo-Anne, you might get there oneday in your caravan. I could stay there for a while! All lovely beaches along there, though windy at times but that is usual at the beach. Superb beaches and the skies, lovely. Was a lovely warm day. ha ha! Goodness - Yeppoon is interesting!!!!! Ha! Spammer I expect, will delete him or her more like a him later. I want to enjoy this sunshine on the beach. Just imagine you are there. you captured it so well my friend!